Revelation 13 speaks of the coordinated establishment of a One World Economic System - entrapping us in terms of our bodies (control over our ability to buy and sell and hence survive), a One World Political System - entrapping us in terms of our souls (control over our consciousness, intellect and emotions), and a One World Religion - entrapping us in terms of our spirits (control over our religious faith and beliefs). These days that we currently live in are days in which all three systems are on track to converge with the establishment of the three and half year 'Tribulation Rule' of Satan Incarnate as the Antichrist. We have been created in the image and likeness of God (Father, Son and Holy Spirit) reflected in our own identity make up of body, soul and spirit. In terms of 'body' we reflect Jesus - God The Son - The Word who became flesh to dwell amongst us - whom we could touch physically. In terms of 'soul' we reflect God The Heavenly Father - the provider of the Law - whom we we are able to understand intellectually. In terms of 'spirit' we reflect The Holy Spirit - who dwells within us as born again believers, providing us with comfort, revelation and conscience. The unique traits of God - Omnipotence, Omniscience and Omnipresence are displayed in the characteristics of the Godhead. Satan has none of these traits - they are collectively and uniquely God's alone, and no entity - angelic, human or any other created form - can successfully challenge God for His Throne without any of them. Satan tried and failed (Isaiah 14:12-20 and Luke 10:18). Satan hates us, mankind, because when he sees us he sees the purpose of The Cross and with it his own defeat and demise (Past) ... he sees, in us as true born again believers, God worshipped for who he is (Present) ... and he sees in the authority we have gained over him, through The Cross, his own inevitable and unavoidable judgement and ultimate fate (Future). Because of his hateful drive, Satan seeks to entrap and imprison us in every aspect of our Godliness, individually and corporately. His plan to achieve this is with his One World Economic, Political and Religious Systems, in so doing controlling our very lives and survival (body), controlling the way we think and act (mind), and controlling what we even believe (spirit). 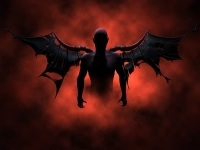 In achieving this satan seeks to supplant the true living God as prophet, priest and king in our lives, and for him alone to be worshipped as god. The infrastructures for these interconnected global economic, political and religious systems are well advanced and nearly complete. We see the scaffolding coming away, and the systems being revealed all around us, before our very eyes, right at this time in history. The end of the age is near! Jesus said no one know's the day or the hour except the Father. Jesus also said we read the 'signs of the skies' but don't read the 'signs of the times'. 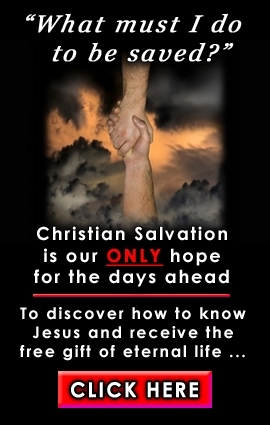 Read the 'signs of these times' and understand and realise that the return of Jesus is very soon. Many will be aware, to a degree, of the advancement of the global unification of political and economic systems, as the United States and Unitied Nations, backed by Illuminati and Masonic forces, outwork, now openly, their evil agendas. Centralised political control from the UN now has almost total override in the areas of nation states, and even provincial states in terms of policy development and administration - especially in regard to 'leftist' ideologies such as homosexuality, climate change and carbon tax, individual rights of the masses, freedom of expression, freedom of travel, freedom of choice in the areas of vaccination, eugenics, pro abortion and sexual promiscuity, state ownership of land, multinational corporation exemptions from any legal or moral challenge, broadscale assassination of anything to do with true Christianity, etc, etc. The global economic systems are poised, by design, for total collapse, and the "Globo" (my pet name for the future global currency) ready to rise as a phoenix out of the ashes as an electronic system technologically enabled with RFID computer chip implants to the head or hand. Maybe the new global currency should be called the "Phoeno" ... or maybe the "Phoeney" by those who are those finger pointing scoffers who yell "Conspiracy theorists" from the rooftops. I believe there are fewer people who are actually aware of how the third part of the global agenda is coming together. This too is developing rapidly, and two of the key players, it would seem are Tony Blair (ex PM of Great Britain & Northern Ireland, and warmongering cohort of George WMD Bush) and Rick Warren (Renowned pastor of Saddleback Church, author of '40 Days of Purpose', and ecumenicist). Now, I am careful, even reticent to bring critical comment against any Christian ministry that may be misunderstood or misconstrued. Although there is much deception within the Body of Christ at this time (a key tactic of Satan to pre-emptively dis-empower The Christian Church) there is also much accusation pointed at The Bride of Christ which I also believe is of Satan. This is how Satan operates - by deception and by accusation. The great dragon was hurled down—that ancient serpent called the devil, or Satan, the deceiver of the whole world. He was hurled to the earth, and his angels with him. Then I heard a loud voice in heaven say: “Now have come the salvation and the power and the kingdom of our God, and the authority of his Christ. For the accuser of our brothers, who accuses them before our God day and night, has been hurled down. Therefore, in trying to filter what is of God from what is not of God it is essential to be knowledgable of what the Word of God says, and by the actual and established words and actions of various ministries ... not by hearsay and ill informed personal opinion ... but by what is on the public record. Rick Warren appears to practise a brand of religious faith that is obviously attractive to the players and shapers at the highest levels of political and cultural influence within the world, including current President Obama as well as Tony Blair of course. Perhaps one of the reasons for this connection with Barack Obama is Rick Warren's promotion of "Chrislam" ... a term being used these days for the union of Christianity and Islam in a brotherhood of faith. In the largest Nigerian City of Lagos, worshippers are being invited to churches for Christians and Muslims in which the lectern holds both the Bible and the Koran, and readings and invocations are given from both. Chrislam! Chrislam in Nigeria is an attempt to break down the walls of hostility between Christianity and Islam ... but is a serious compromise of what we hold to be Christian truth - and a sellout to the demonic intimidation synonymous with the Islamic religion. This impressive list of movers and shakers are part of the interconnecting network assembling the components for the infrastructure necessary for the establishment of a coordinated One World Economic, Political and Religious System ... and Rick Warren is right in there with them. His Chrislamic offering of 'peace, peace' when in Syria with words describing the peaceful coexistence between the two faiths reveals he is doing his part to forge the 'religious component' in the global plan. The following video clip preserves words spoken by Rick Warren regarding Syria, despite it's immediate removal from Rick Warren's own Saddleback website. I made mention earlier regarding a connection between Rick Warren and Tony Blair. Since Tony Blair suffered the ignominy of alliance with George 'Dubbya' Bush over the Weapons of Mass Destruction lie he has sought to redefine himself on the international stage ... and in the process has "discovered God", and this is where the connection with Rick Warren comes in. Tony Blair, on record as converting to 'Roman Catholicism' after leaving Downing Street, has since stated how he felt unable to discuss religion while he was in office, for fear of being viewed as a religious fanatic. He has since lectured around the world on the need to place 'faith' at the heart of global affairs. His role as International Peace Envoy to the Middle East has certainly helped in his quest to build bridges between different 'faiths' in the region. He states "21st century will be poorer in spirit, meaner in ambition, less disciplined in conscience, if it is not under the guardianship of faith in God". and says in regard to the Middle East "It is a good place to reflect on religion - a source of so much inspiration, an excuse for so much evil. Today, religion is under attack from without and from within. From within, it is corroded by extremists who use their faith as a means of excluding the other. From without, religious faith is assailed by an increasingly aggressive secularism, which derides faith as contrary to reason and defines faith by conflict"
These sentiments sound all very virtuous ... even godly in a deceptively non-de-script sort of way ... but the central point of focus upon which all true Christian faith hangs - THE DEATH AND RESURRECTION OF JESUS CHRIST ~ WHO IS LORD AND GOD, and the ONLY WAY by which we may attain salvation - is most conspicuous by it's total absence in any discourse. To be a Catholic, or a Protestant, or pentecostal, or evangelical, or orthodox or within any other denominational group is totally irrelevant. The core issue is whether or not one is a true born again Christian (One who has personally received Jesus Christ as Lord into his/her heart). To be a disciple of the Pope, or Rick Warren or any other man or ministry is also irrelevant. The Word of God requires us to be disciples of Jesus, and to make disciples of others in His name. Tony Blair has sought Rick Warren as an agent to help unify different faiths and religions, recognising him to be one of the most influential people in the world, according to the Guardian and Observer newspapers in Britain. The followup to that has been the recent announcement that Rick Warren is to host Tony Blair at Saddleback Church this coming Sunday, March 6th 2011. The rest of The Christian Post report, that makes mention of connections that Barack Obama, George W Bush and John McCain have with Saddleback Church can be read by clicking here. so that your faith might not rest on men’s wisdom, but on God’s power. I conclude this article by providing the following video clip relevant to this article, which contains explicit footage of a surgical abortion procedure. Strong caution is advised before viewing it.